Audio Streaming Software - Play Music on iPhone iPad without Sync? Have you stored much music on your PC or Mac? Do you update your music library and iTunes playlist every week? Each time when we update the music library, we will get much fair-sounding music. To play the music on iPhone iPad, we have to make a sync first. However, it is a little bit inconvenient to sync music to iPhone, especially when we have no way to access iTunes. Is there any solution to play music on iPhone iPad without sync? Absolutely, the answer is YES. The newly released free audio streaming software – Air Playit by Digiarty, now can help us seamlessly stream music from PC or Mac to iPhone iPad via WiFi, 3G/4G network, with which you can play music on iPhone iPad immediately. 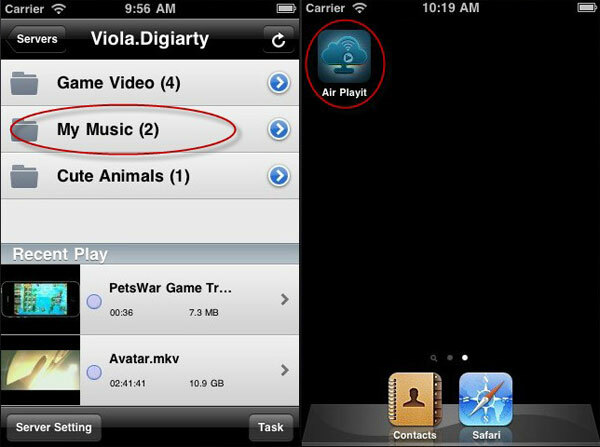 Bulid Your Own Audio Library on iPhone iPad with Air Playit! Air Playit supports all audio formats, such as MP3, AAC, AIFF, WAV. When you update your music library on your PC/Mac or the iTunes playlist, do remember add those audios to sharing folder of the Air Playit Server. So that you can play music without waiting and Air Playit will automatically cache the audio playing list over WiFi, 3G/4G as long as you play it. Get this free audio streaming software to establish your own music library. 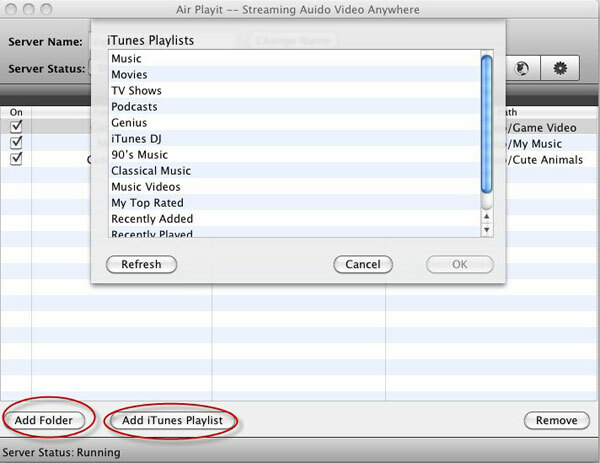 Step One: Download Air Playit Server on your PC or Mac. Run the server on your PC/Mac. Under the Sharing Folder tab of this audio streaming software, you can add music from disk folder or from the iTunes Playlist. Step two: Install the App Client on Your iPhone iPad. Launch the App Client on iPhone iPad. It can discover the local network by Bonjour Server. If not, you can specify the IP address manually. And then start to play music on iPhone. This App Client is also designed to automatically cache the music that you have played. If you want to play music again, you do not have to stream the audio any more, just go to the Downloading Library, Air Playit has recorded what you have played before. Audio Streaming can be fun. 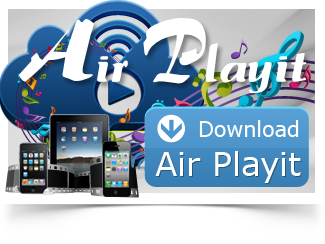 With Air Playit, you can host and make use of your own music library via WiFi 3G/4G network just sitting back in your office or bedroom with very little effort of launching Air Playit on your iPhone iPad. MacX DVD Ripper Pro can help you effortlessly rip DVD to MP4, AVI, WMV, MOV, MP3 or iPhone iPad supported formats on Mac/PC with 36X faster speed and original video/audio quality. Later, you can directly stream the movie video to your iPhone iPad with Air Playit. Air Playit is a powerful & free video audio streaming software for iPhone iPad which helps you remotely play almost all videos audios on iDevice without conversion and sync by streaming video audio to iPhone iPad via WiFi/3G/4G network.